Question: Draw a circuit diagram for 3-bit asynchronous binary down counter using master-slave JK flip-flops. Q. 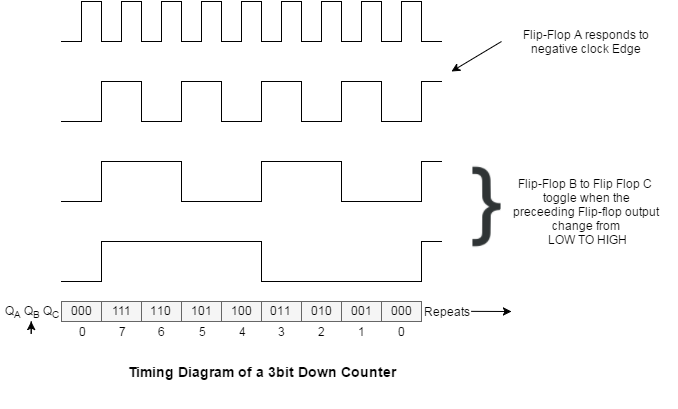 Draw a circuit diagram for 3-bit asynchronous binary down counter using master-slave JK flip-flops. Show the output of each flip-flop with reference to the clock & justify that the down counting action. 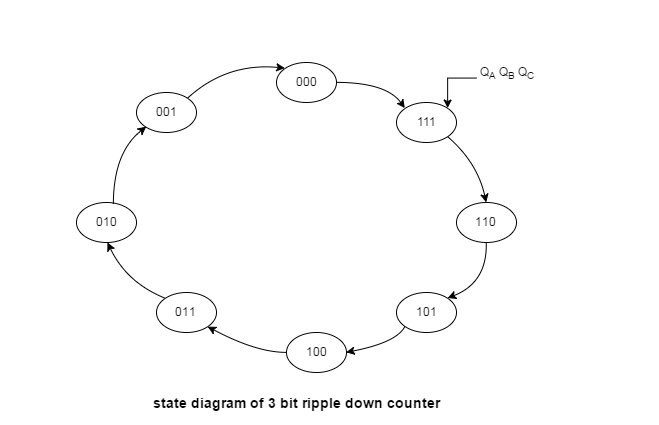 Also prove from the timing diagram that the counters is "divide by 8" counter. Some counters count upwards from zero. So they can be called as up counters. But the counters which can count in the downward direction i.e. from the maximum count to zero are called down counters. 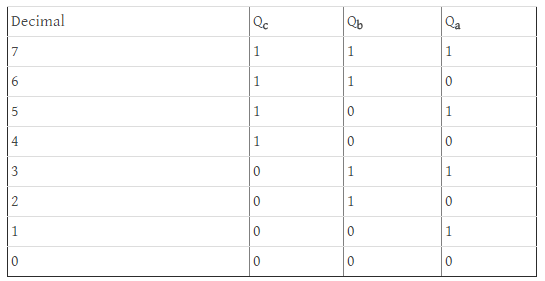 QC QB QA = 111, 110, 101, 100, 011, 010, 001, 000. From this sequence, it is evident that FF-A should toggle at every negative going clock edge but FF-B should change its state only at those instants when QA changes from LOW (0) to HIGH (1) and QC should change only when QB changes from LOW to HIGH. 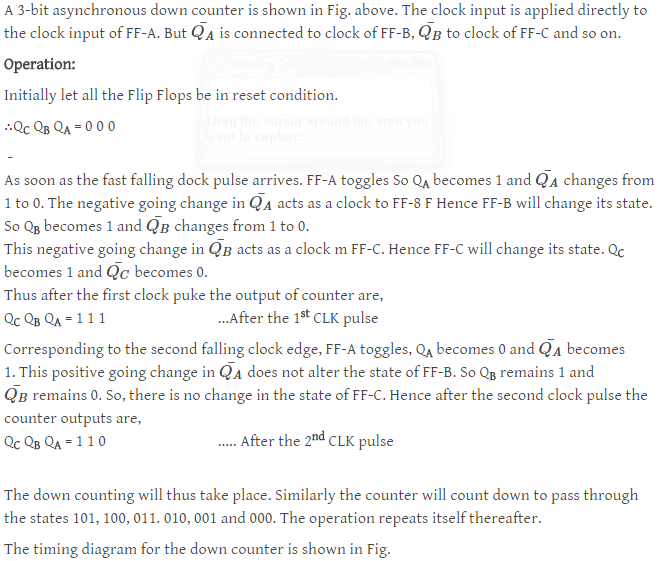 Thus in a down counter, each FF except the first one (FF-A) should toggle when the output of its preceding flip-flop changes from LOW to HIGH. If all the FFs are negative edge triggered i.e. responding to the negative CLK edge, then we can place an inverter in front of every CLK input or we can drive the CLK input of next FF from the Q¯Q¯ output of the preceding FF and not from the Q outputs as shown in Fig.